Beer #2883 is an indian pale ale brewed by Good George in New Zealand. My third from this brewery and one that ranks alongside the others. A solid IPA, with a decent level of bitterness, sweet and malty and even a touch nutty I found, with a little fruit in the background. 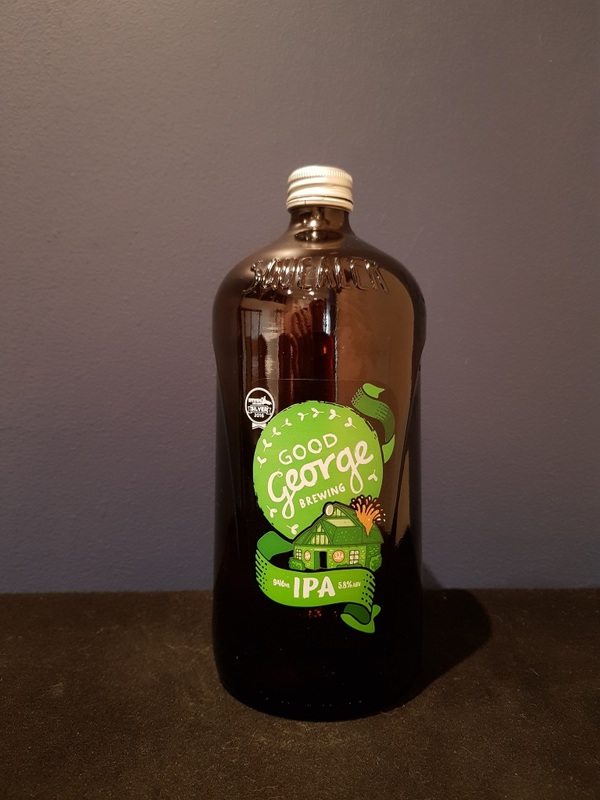 The bottle size is 946ML with an alcohol content of 5.80% (containing approximately 4.30 AU / 5.50 UK standard drinks), and it costs $15.00.